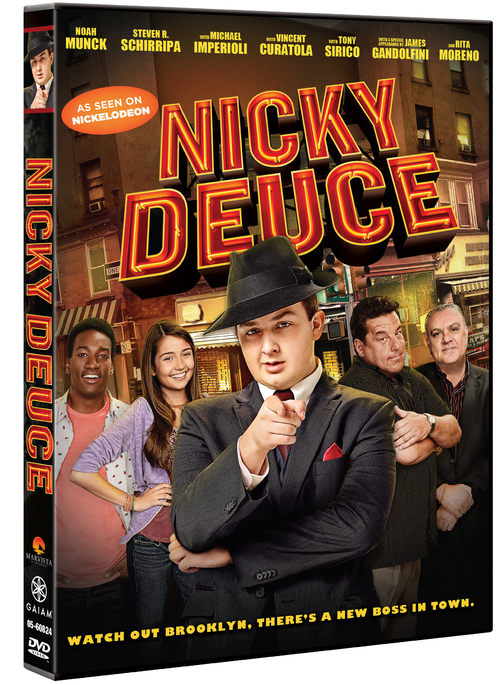 As seen on Nickelodeon earlier this summer, the heartwarming and funny original movie "Nicky Deuce" is available on DVD, as well as for rental and download, as of today, July 2, 2013. Based on the book Nicky Deuce: Welcome to the Family by Steve Schirripa and Charles Fleming, "Nicky Deuce" is a laugh-out-loud adventure that reunited Schirripa with other original cast members of "The Sopranos," including Vincent Curatola, Tony Sirico, Michael Imperioli, and a special guest appearance by James Gandolfini. "Nicky Deuce" is available now on DVD at all major retailers in the U.S. including Walmart, Target, Barnes & Noble, and Amazon. "Nicky Deuce" is also available now for rental and download at such digital retailers as iTunes and Amazon Instant Video. Those that watched the Nicky Deuce broadcast premiere earlier this week and loved it - and those who sadly missed it - will get another chance to watch the original movie this weekend, on both Nickelodeon in the U.S. and YTV in Canada. Audiences in both countries will get to relive the adventure - and romance! - of Nicholas Borelli II's transformation into "Nicky Deuce" all over again, or experience it for the very first time. YTV will reair Nicky Deuce tonight at 7 p.m. Eastern & Pacific time. 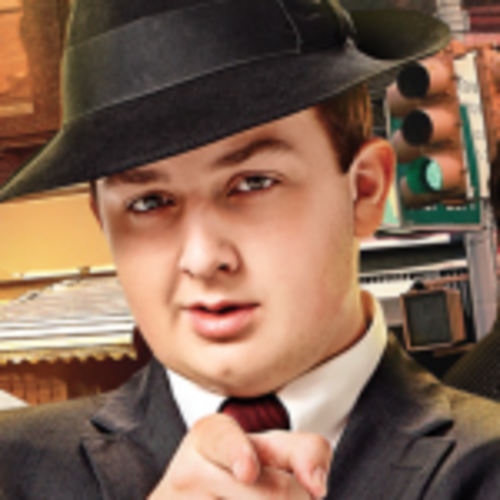 Nickelodeon will reair the film starring its beloved Noah Munck ("Gibby" from iCarly) on Sunday June 2 at 4 p.m. Eastern & Pacific. In the meantime, a number of trailers and clips from the movie can be watched on YouTube. Almost a year after filming "Nicky Deuce" together in Montreal over 19 days in 2012, several cast members were able to reunite and see the completed movie for the first time - on the big screen! - before its broadcast premiere on Monday, May 27. In New York, Steve Schirripa (Uncle Frankie) joined his fellow Sopranos alumni Tony Sirico (Charlie Cement) and Vincent Curatola (Paulie) at the Tribeca Grill on May 14. Cast members Guido Grasso (Sal) and Jasson Finney (Sonny) were also in attendance. In Hollywood this week, Arclight Cinemas rolled out the red carpet for stars Noah Munck (Nicky), Cristine Prosperi (Donna), Cassius Crieghtney (Tommy), and Schirripa. They were joined by James Gandolfini (Bobby Eggs) and Michael Imperioli (The Doctor), as well as Nicky Deuce director Jon Rosenbaum. Carlo Mestroni (Mr. Borelli), Andrea Frankle (Mrs. Borelli), Kwasi Songui (Jimmy the Iceman), and Guido Grasso (Sal) rounded out the cast in attendance. Several stars of Nickelodeon shows past and present came out to support Munck in his first starring role, including his former iCarly castmate Nathan Kress, and Marvin Marvin stars Victory Van Tuyl, Lucas Cruikshank, Jacob Bertrand, and Jack Griffo, who also joined his See Dad Run castmates Jackson Brundage and Ryan Newman. Supporting Schirripa were his costars from ABC Family's The Secret Life of the American Teenager, Ken Baumann (who portrayed his son on the show) and Camille Winbush. The wait is over! Fans of iCarly and The Sopranos can rejoice as their favorite familiar faces grace their TV screens once again in Nicky Deuce, premiering Monday, May 27, at 8:00 p.m (ET/PT) on Nickelodeon's Nick at Nite programming block. 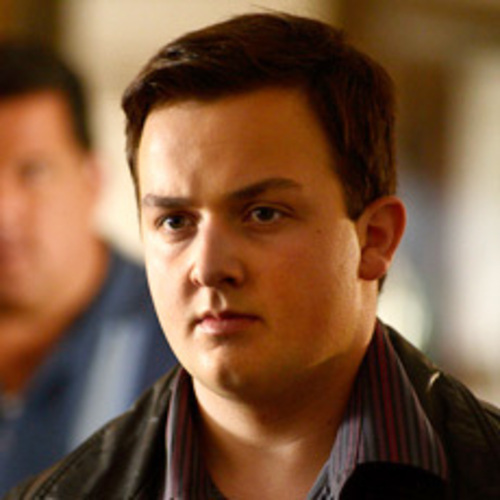 iCarly's Gibby (Noah Munck) is all grown up as Nicholas AKA Nicky Deuce, who learns how to "man up" while spending time with the uncle he never knew he had (Steve Schirripa) and finding love (with Degrassi's Cristine Prosperi) during the best summer of his life. Audiences in Canada can also catch Nicky Deuce on YTV on May 27. For full schedule and airdate details, Click Here. Based on the same-titled popular children’s book by Steve Schirripa and Charles Fleming, the Nicky Deuce TV movie brings to life the story of Nicholas Borelli II, a nerdy, over-protected teen who gets caught in the adventure of a lifetime when his plans to attend math camp go awry and he is sent to spend the summer with an uncle he never knew he had (played by Schirripa) in Brooklyn, NY. Nicholas is a fish out of water at first, but he leans on local kids to help him fit in, and through some hilarious mishaps, winds up mistakenly earning a reputation as a tough guy - transforming into the title character. When confronted with some questionable dealings, Nicky uncovers family secrets and learns that the tough streets of Brooklyn aren’t always what they seem. 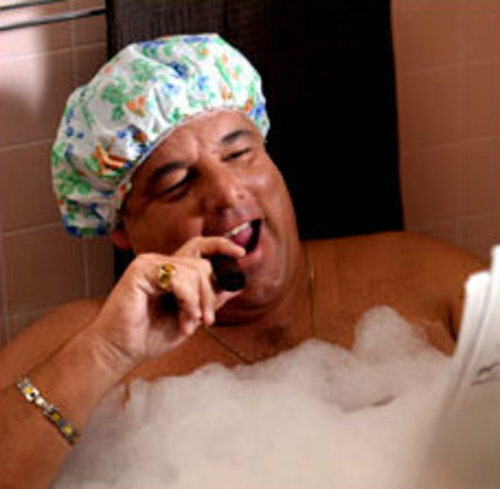 Schirripa, who also executive produced to movie, is best known for playing the likeable Bobby Baccalieri on The Sopranos. In addition to his six seasons on that show and 5 seasons on The Secret Life of the American Teenager, his other manytelevision appearances include Joey, King of Queens My Wife and Kids. For photos and clips from the movie, click here. Monday, May 27, 2013 PREMIERE!